Charlotte Lawson is an exciting emerging artist on the Melbourne scene. As a talented vocalist, she has recently returned from China, with the Australian International Opera Company on “The Sounds of Hollywood” tour. Charlotte graduated from Federation University’s Arts Academy in Ballarat with a degree in Music Theatre in 2015. Her credits at The Arts Academy include “Thoroughly Modern Millie”, “Urinetown” and “The Mystery of Edwin Drood”, in which she played The Princess Puffer. 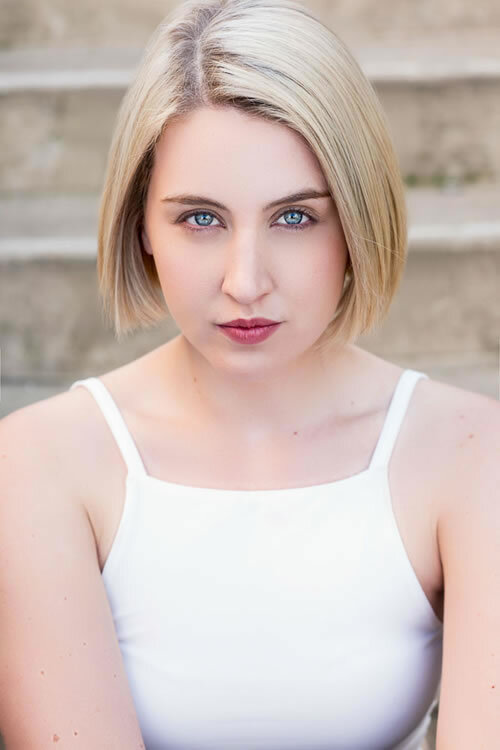 She was also selected to work with leading figure in Australian Musical Theatre Nancye Hayes in “Riches, Romance and Rebellion” showcased at the 2015 MEAA Conference at WAAPA. Her self-written cabaret “The F_____ Word” saw two successful seasons, both in Ballarat and in Melbourne. In 2016 saw Charlotte hit the Music Theatre scene by featuring on the Original Cast Album of “The White Mouse”, also a New Australian Musical, and appeared in Matthew Robinson’s 2016 New Voices Workshop.